Last year, fourth-year student Daniel Artin interviewed Harrison Davis, the first African American quarterback at the University of Virginia, as part of larger independent project on the history of the Eta Sigma Chapter of Kappa Alpha Psi Fraternity, Inc. Here, Artin discusses not just Davis’ contributions as a charter member of the Eta Sigma chapter of Kappa Alpha Psi, but also his challenges as one of the first African American quarterbacks in the Atlantic Coast Conference (ACC). Comparatively speaking, the University’s major sports teams had been late to the integration game. In fact, UVa’s football team was the last in the ACC to integrate. 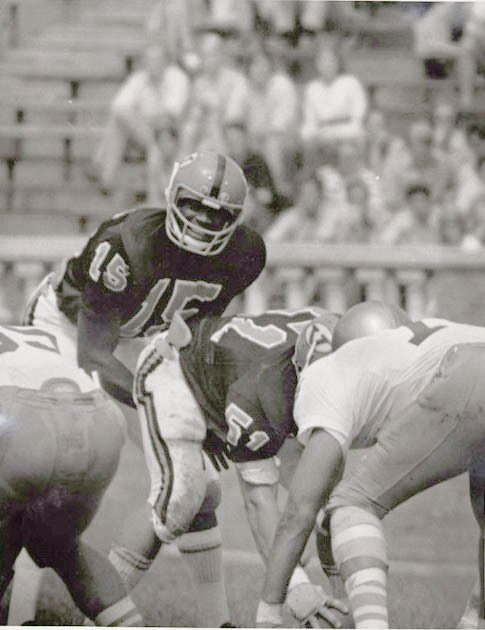 Partly due to tremendous pressure from progressive students, the University altered its course in 1969 with the signing of Stanley Land, a standout football player from Rockbridge High. 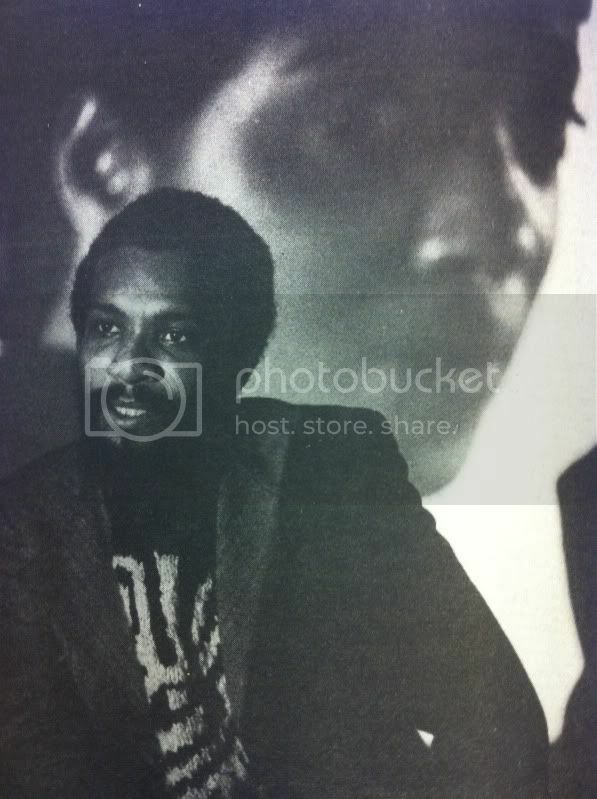 A year later, Kent Merritt, John Rainey, and Harrison Davis added their names to the University’s short list of black scholarship athletes (Al Drummond, the first African American to sign a grant-in-aid to play basketball signed with the University in the spring of 1970). Harrison Davis’ experiences are captured in his conversation with Artin, part of which is quoted below. Despite his agility and dexterity on the field, Davis fell victim to a multitude of flagrant tackles, mainly due to the average height of his offensive lineman being 5’9”. Consequently, he ended the game with two dislocated shoulders. Despite his injury and not being able to raise both of his hands above his shoulders, Davis was still selected as the team’s starting quarterback against rivaled Virginia Tech in the subsequent game. After a difficult start, Davis threw two interceptions that were converted to touchdowns resulting in massive waves of “boos” coupled with piercing racial slurs from the home-crowd. It was then that Davis, recalls confiding with his fellow teammates and coach Groh who gave him the courage to persist. Consequently, in an act of justified insolence, Davis approached the home-crowd while being down 14-0 and gave each of them the middle finger, symbolizing his defiance and his unwillingness to be put down by their ignorance and lack of faith. Davis would later go on to lead the Cavaliers to a euphoric victory of the Hokies in a daring fourth-quarter drive that quickly gained much appraisal from the fans. Davis recalls this experience as a defining moment of his time at the University not only for him but also for all blacks at the University resulting in an unprecedented act of solidarity on Grounds. After discovering their fraternal affiliation, Davis and the other Brothers including William Anderson, Dennis Blackwell, Jerome Brown, Robert Davidson, Harrison Davis, Robert Milner and Alex Strawn, grew a newfound respect for the ideals and objectives of Kappa and sought to bring that to Grounds. Kent Merritt attributes the founding of the Eta Sigma Chapter to Linwood Jacobs, who served as an Associate Professor of Education and Associate Dean of Students primarily responsible for the establishment of various chapters of the National-Pan Hellenic Council (NPHC). At the time, Jacobs was a brother of the Richmond-Alumni Chapter and Merritt describes that the process of chartering a new chapter involved both pledging through an existing undergraduate chapter as well as being sponsored by an alumni chapter. Prior to that the Brothers travelled down to Hampton, VA to seek approval from the Eastern Province Polemarch, regional president, to start a chapter at the University. Merritt, who was President of the first Skroller Club, describes the process being long and arduous, beginning in the fall of 1973 and not ending until after graduation in May 1974. The Beta Chi Chapter at Hampton University assumed the role of pledging the young brothers cause at the time both Virginia Union and Virginia State University were suspended, so the next closest chapter was at Hampton University. Merritt describes the extended duration of the process to the long distance they often had to travel between Charlottesville and Hampton. In addition to being pledged by an undergraduate chapter, the young Brothers needed to be sponsored by an alumni chapter; thus due to Brother Jacobs influence amongst members in the group, the Richmond-Alumni Chapter took on the role of sponsoring the young brothers on their campaign.